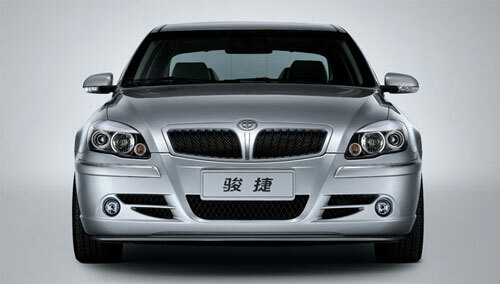 This is the Zhonghua Junjie, China Brilliance Auto’s 2nd passenger car. The name Junjie means Triumphant Horse, or Winning Gold. 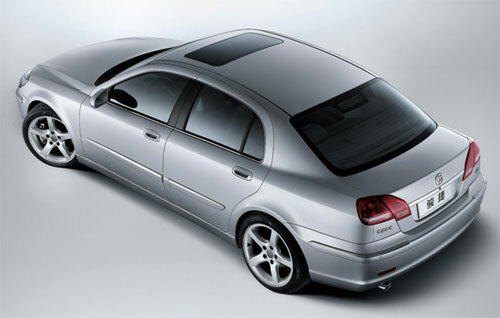 The sporty mid-sized sedan was designed by the Italian design firm Pininfarina. It is built on a shortened version of it’s big brother Zhonghua Grandeur’s platform. 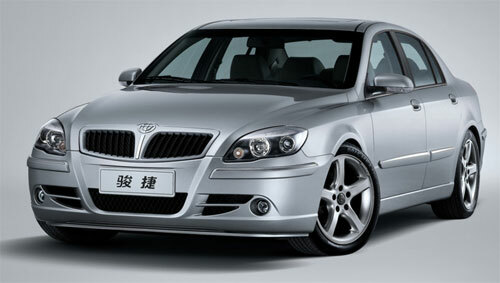 The design cues of the Zhonghua Junjie reminds me of a BMW. Which is no suprise, as China Brilliance also manufactures BMW cars for the China market thorugh a 50.99-49.01 joint venture between China Brilliance and BMW AG. The company received technical assistance from BMW AG through the Zhonghua Junjie’s course of development. The styling also reminds me of Rover cars. Even though it mimics BMW and Rover styling, I think this is by far the best looking car to come out of China so far. Come to think of it, now the rear reminds me of the latest 2006 Audi A4. But I definitely wouldn’t mind driving it. The Zhonghua Junjie comes with 4 engine options, ranging from an entry-level 1.6 litre to the top of the range 2.0 litre. All engines are supplied by Mitsubishi. The 1.6 litre model (99hp at 6000rpm, 134Nm of torque at 4500rpm) is the 4G18. Although the engine code is the same one in our Proton Waja and Mitsubishi’s Lancer 1.6 GLX, the torque curve seems different. Our Proton Waja’s 4G18 makes a peak torque of 140Nm at 2750rpm. The Zhonghua Junjie’s peak torque comes in at a much higher 4500rpm. It seems this engine is tuned for high-end power instead of low-end torque, which seems weird as a car weighing around 1400kg powered by a 1.6 litre engine should have the engine tuned for low-end torque to prevent the drive from feeling sluggish. The 1.8 litre mid-range model is powered by the 4G93, making 134 horsepower at 6500rpm and 165Nm of torque at 5000rpm. The 2.0 litre is powered by the 4G63S4M. It makes less horsepower than the 4G93, which is a maximum of 127 horsepower at 6000rpm but it has a higher peak torque of 173Nm at 5000rpm. There is also a more performance oriented engine offering called the BL18T. I’m not sure if this is sourced from Mitsubishi or someone else. This turbocharged variant makes 167hp at 5500rpm and 235Nm of torque across the 2000-4500rpm range. 0-100km/h for this model takes 11.8 seconds. The car weighs 1390 kg for the lightest 1.6 litre model to 1475kg for the heaviest 2.0 litre model. The 1.8 turbo weighs 1465kg. 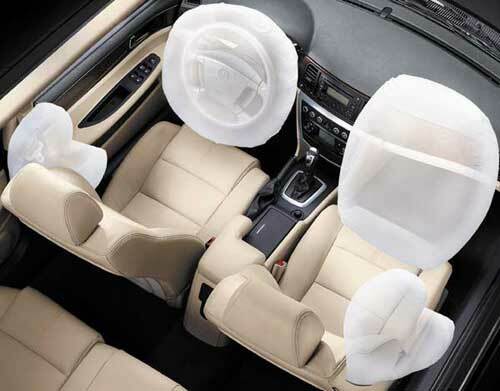 The car has safety features like automatic tightening safety belts when the car’s electronics sense a collission, and there are 4 airbags; two each for the driver and front passager to protect the front and sides. The car also comes with anti-lock brakes, electronic brakeforce distribution and something called electronic differential lock which I presume is some form of traction control.